The most comprehensive feature-length documentary on the ‘80s Action Movie genre ever made. Come with us if you want to see it live. In Search of the Last Action Heroes will explore the story behind the ‘80s action movie genre, examining how studios were able to turn outrageous concepts into genre-defining tropes, and how the one-man-army sub-genre produced the superstars of the era. Matrix, Rambo, McClane, Ripley, Connor, Dutch – the power of their stories excited and inspired a generation of action enthusiasts. Join popular YouTuber and ‘80s/’90s cinema expert Oliver Harper (Oliver Harper’s Retrospectives) as he takes us back in time for the ultimate behind-the-scenes look at the most testosterone-fueled era in cinema. 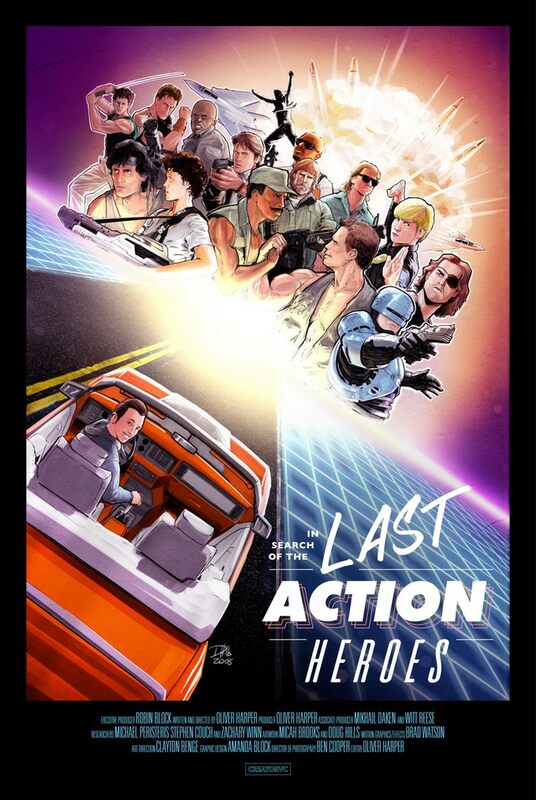 Locked and loaded with nostalgia, ‘80s synth music, exclusive interviews, and visits to iconic filming locations, In Search of the Last Action Heroes will be the most comprehensive retrospective of the action film genre that defined our childhood. TNM Notes: We here at TNM are suckers for nostalgia and that definitely includes over-the-top 80’s action films. There are a bunch of rewards and this seems like it will be a good watch. Check it out and get in on the fun.